The photos of the open copy are provided courtesy of Crimson Ceremony and are for reference only and indicate what you will receive if you open this sealed copy. "The Incesticide 180 gram vinyl reissue was first released in 2011 on ORG Music, but it was originally planned to be released on Original Recordings Group some time in 2010, before the Nirvana catalog was transferred to ORG Music, which seems to have been formed in late 2010. 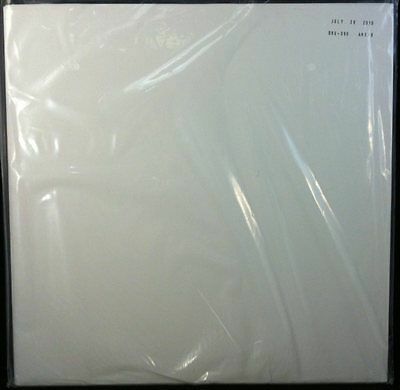 This is the second test pressing of the album, after the previous test pressing had an error on side A. It was pressed in the USA by Record Technology Incorporated (RTI) , under Original Recordings Group. Despite being successful, records with these exact matrix codes were not manufactured and released. This was probably due to the Nirvana catalog being transferred to ORG Music, delaying the release further. The album resurfaced on ORG Music as ORGM 1005. Test pressings were pressed by Pallas later in the year. The same mother plates were used, though with some additions to the matrix codes." SideA: Dive, Sliver, Strain, Been A Son, Turnaround, Molly's Lips, Son Of A Gun, (New Wave) Polly. SideB: Beeswax, Downer, Mexican Seafood, Hairspray Queen, Aero Zeppelin, Big Long Now, Aneurysm. This item ships internationally with our special FedEx rate of $75.